The construction of the Iron Gate Dam for Hydropower Plant (HPP) Djerdap 1 in 1972 in the Carpathian region of north-east Serbia interrupted the flow of the Danube River and resulted in the creation of Djerdap Lake. This caused flooding of 12 local settlements including the majority of agriculturally productive land, which had an important impact on the local way of life as villages were relocated to less fertile hilly land. In addition, displacements created property rights issues as existing settlements located on the land taken over by the HPP were not registered in the land cadastre, which complicated constructions or property selling by local people. This region is extremely rich in cultural heritage. Many important riverside archaeological sites were impacted, while some were relocated to an upper shoreline zone, including Trajan’s Table and the Mesolithic/Neolithic archaeological site “Lepenski Vir”. In turn, hydro-morphological alterations and the creation of two accumulation ponds slowed down the watercourse causing changes in the aquatic ecosystem. As a result the native sturgeon population -one of the most important commercial species for local fishermen- disappeared from the upper flow of the Danube, because the dam obstructed the migration path to and from the Black sea. Besides sturgeon, numbers of many other native species, like the common carp, common barbell, and zander and have been decreasing since the dam construction. In 1974, the gorge area upstream of HPP Djerdap 1 was designated a National Park (NP). NP Djerdap is the largest in Serbia with surface area of 63 608 hectares (ha) and it is top-down managed by the Djerdap National Park Public Enterprise (NPPE). The local population in the NP is not allowed to use forests resources without special authorization from park officials, even on privately owned land. Forests products are traded by the NPPE but revenues did not trickle-down to the local municipalities or communities. Furthermore, community members complain for not being prioritized for jobs in the NPPE; the damage of road infrastructure done by the heavy trucks that transport timber sold by the NP management; for constant threat of damage of their gardens and livestock by wild animals; and the high cost of fishing permits (Macura et al., 2010). Instead of benefiting local communities with increased electricity supply, the HPP principally benefited the urban-industrial sectors, for which the expansion of electricity generation in the early 1970s opened the way for large heavy industry, and factories making shoes, textiles, and other products which undercut artisan and local-domestic production. The poor economic situation in the country, inadequate management and restrictions on the use of local resources contributed to the increase of illegal logging, fishing and hunting activities and construction of tourist facilities in the area, as well as to an ongoing process of depopulation. However, this led to only a silent conflict between park management and local communities. HPP Djerdap 1 is the largest hydropower plant system on the Danube River with Total power - 1026 MW; The maximum flow – 4800 m³/s; Total volume of the accumulation - 2800 x 106 m3; and Average production per year - 5.65 billion kWh. HPP Djerdap 2 is the second largest hydropower plant on the Danube River. 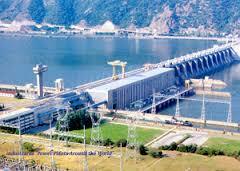 Its construction lasted from 1978 - 2000, and it has a total accumulation volume of 716.5 x 106 m3 and total power of 270 MW. Development of Alternatives Local communities view the HPP and the NP as the main source of the underdevelopment of the area. Continuing with “business as usual” will lead to continued depopulation, emigration, loss of jobs and poverty. 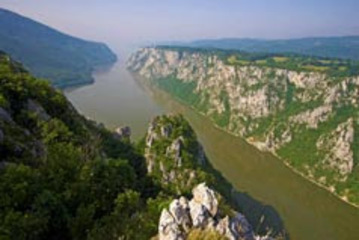 Local communities see opportunities in ethno- and eco- tourism, animal husbandry, sustainable water transport on the Danube, and in co-management of the NP Djerdap (Macura et al., 2010). However they communicate these ideas silently and no organised actions have been reported. Why? Explain briefly. The local communities have not been properly included in the national park management and therefore unable to articulate their problems and needs.